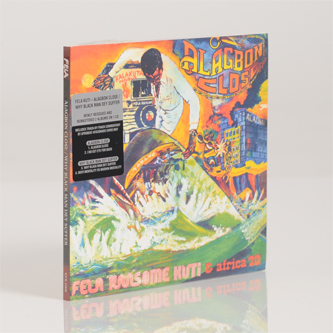 *Includes two newly remastered Fela albums in one package* Another definitive Afrobeat masterpiece from the Fela Kuti & Africa 70 archives, 'Alagbon Close' backed with 'I No Get Eye For Back' dating to the pivotal year of 1974. Recording at the Ginger baker-funded A.R.C. Studios and fuelled by their first major experience of police brutality - they'd searched in vain for weed at Fela's Alagabon Close compound, subsequently holding him in cells and the military hospital for seven days waiting for a swallowed joint to "pass" (more of that on 'Expensive Sh*t) - Fela and Tony Allen tuck dig deep in the pocket with simmering, flaring organ and the tightest polyrhythmic tucks seared by Fela's incendiary lyrics and blazing organ/horn combo. Flipside the shorter, sweeter 'I No Get Eye For Back' rolls out on a mostly instrumental groove, with some crucial contributions from Fela and chorus.